The White Ribbon Community Pilot Project (WRCPP) team is hosting its annual Inverell White Ribbon March on Thursday 23rd November 2017 at 10am to show the town’s zero tolerance for domestic and family violence. The community is being encouraged to arrive at 9:45am at the Tatts Hotel before marching along Byron St and Oho St and arriving at the Inverell Shire Council for a chat and morning tea. 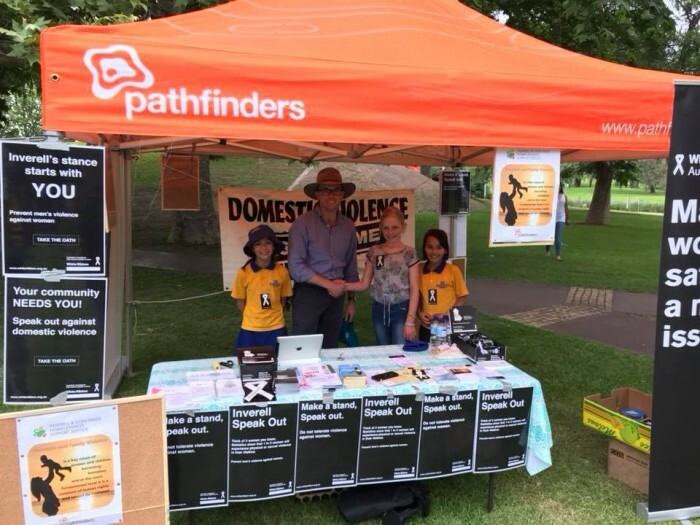 The event will come almost one month after the Inverell WRCPP team set up a tent displaying White Ribbon posters and messages about stopping men’s violence against women at the Inverell Sapphire City Festival. Pathfinders Specialist Homelessness Services staff Trish Thomas, Daisy Brown and Tim Chard provided an opportunity for people to have a conversation about the White Ribbon Oath and to understand what it means to stand up, speak out and act to stop men’s violence against women before it starts. Six local men took the White Ribbon Oath online via an iPad provided by the Inverell Shire Council. Pathfinders Specialist Homelessness Services Manager, Trish Thomas, said the efforts of these men are to be commended, as it takes a proactive initiative to take time at a social event to take an oath for such an important cause. White Ribbon tattoos and stickers were also handed out and could be seen being worn by festivalgoers throughout the day. Trish said it’s important to continue to educate the community, including young people, on domestic and family violence to prevent the cycle of violence from being passed down to the next generations. The WRCPP are also inviting men in the community to attend a bystander and leadership skill-building session run by White Ribbon Australia on the 16th of November from 12:30pm to 2:30pm at the Inverell Library. 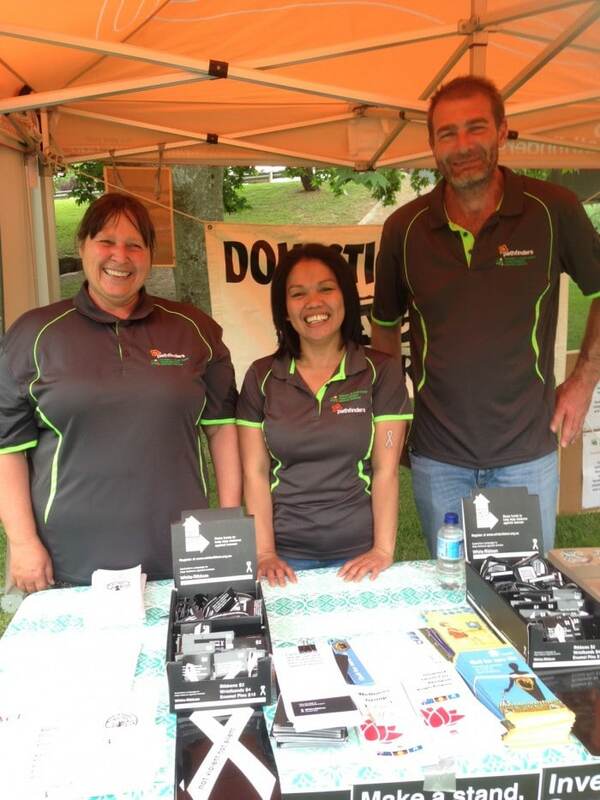 Caitlyn Brown, Jessica Brown and Lu Lu Chard with Adam Marshall at the Inverell Sapphire City Festival.